Secondary Education refers to the three or four years of high school that follow middle or junior high school. Depending on the jurisdiction, secondary education may also include middle or junior high school. While these years are compulsory in the U.S. to a certain age, special training of the teachers and staff is a necessity. Secondary Education is focused on dealing with students who are in the first stages of preparing for adulthood. These are the years in which a student may choose a career path or begin working toward a college major. These are also the years in which teenagers are becoming adults and going through all the growing pains of such a transition. Those who choose to go into secondary education will likely have to choose one or two specialties/subjects which may include English, Mathematics, Science, Social Studies, Music, Physical Education, or a number of others. Secondary Education was not a requirement in the past. In fact, few people were educated beyond the basics of elementary school. However, as schools became compulsory and free to attend, the number of students enrolled increased greatly. Expectations also changed in the level of education required, which required teachers to be trained in certain areas. This led to the education system as we know it today. A secondary Education teacher will not only learn the theories of teaching, planning, and implementing a curriculum, but will choose a specialization such as Math, Literature, Social Studies, or Science. This can be a general studies course or specific types of subjects such as Biology, Calculus, or even a Foreign Language. How Do I Know If a Bachelor's Degree in Secondary Education Is Right for Me? Those who seek a Bachelor's Degree in Secondary Education often have a goal in mind to become a High School or Middle School teacher. Gaining a Bachelor's Degree in Secondary Education means more than getting accepted into an accredited college. Those wishing to go into an education program will typically also have to pass the Praxis CORE Academic Skills for Educators exam or an equivalent state exam. This Basic Skills exam covers general math, reading, and writing abilities. Most education departments will require passing scores prior to official acceptance into the program. Some schools also require letters of reference, a certain GPA, and prerequisite courses. A clear background check will also be necessary. Depending on a student course load, an average Bachelor's Degree will take between 3 and 5 years to complete. Generally, anywhere from one to two of those years are focused on meeting general studies requirements. Combined with a Teaching Certificate/Credential, a Bachelor's Degree in Secondary Education will allow you to teach at the middle and high school levels in the subject area of your training. Some areas are in higher need than others with math and science job growth higher than other general areas. What Type of Courses Will I Need for a Bachelor's Degree in Secondary Education? Although each college will have their own curriculum, the following are popular courses for a Bachelor's in Secondary Education program. Teaching at higher levels is much different from teaching young children. This class will help you learn the techniques that work best with older students at higher levels of abstract thinking. A classroom full of hormonal teenagers can be a recipe for disaster if you are not aware of how to implement appropriate classroom management methods. This class will teach the basics in classroom management technique to allow your classroom and teaching to stay on track. Adolescents think and process differently than young children which means an entire class needs devoted to the psychology of adolescents and how the way in which this age group thinks can affect teaching. Gaining a Bachelor's Degree in Secondary Education online can be an attractive option for those who are also working or caring for a family full time. Some Bachelor's Degrees are available in full online, though education degrees will likely require observations within a classroom setting in some manner. However, completing even part of one's classes online can save time and money by eliminating the commute. Online degree programs allow for a very flexible schedule. Since physical attendance in a traditional college classroom is not required, students can complete their studies whenever and wherever. The decision is completely up to the student and how they wish to coordinate their studies with their daily schedule. Many students these days have jobs to keep up with and families to care for. These responsibilities restrict a student's time and ability to attend classes on a campus. In many cases, these students rule out schooling altogether. Luckily, online education has become a viable and reputable option. With online degree programs, students do not have to worry about missing class due to work or family obligations. 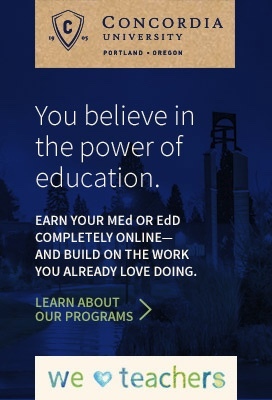 With online degree programs, students are able to join programs regardless of their geographic location, scheduling restrictions, or physical ability. Good internet connection and a reliable computer are two basic things that are needed for an online education. Students have even reported that online courses are easier to concentrate in, since there are less distractions from other students and classroom activity. This may be a good option for students who are easily distracted, as they will be able to work alone and at their own pace. Program Overview: This program is designed to prepare secondary teachers to step into the classroom. Those that complete the program will be licensed in the state of Nevada. Required Courses: Basic courses are required of all education majors, however, subject specific courses will vary greatly depending on the specialization of your choice. Visiting the college website can offer specific insight into each subject area. Admission Requirements: Proof of graduation from an accredited or approved high school with a 3.0 GPA is necessary for admission. This is in addition to a complete application. If all high school credits as needed have not been attained, you may have an ACT score of at least 22 or a Nevada Advanced high school diploma, or a combined SAT score of at least 1040 for admission. Tuition: A full time resident student can attend classes for approximately $2,700 per semester. However, additional hours above 12 credits will result in higher costs overall. How Do I Know If a Master's Degree in Secondary Education Is Right for Me? A Master's Degree in Secondary Education is for individuals who wish to further their careers in the field of education. Passing scores on the basic and specialized PRAXIS exams in your area of study are often required. PRAXIS exams are often substituted for specific exams administered by the candidate's home state. A Master's Degree can usually be completed in two years, but may take three for some individuals. Some colleges offer a fast paced degree that can be completed in a year, but this is filled with intense course loads and work. As with any program leading to a career in teaching or related to teaching and education, an accreditation by CAEP (Council for the Accreditation of Educator Preparation) is necessary. What Type of Courses Will I Need for a Master's Degree in Secondary Education? Though course titles will vary from school to school, the following are generally a part of a Master's Degree in Secondary Education program. Though studying education and teaching children, there are a number of laws that must be adhered to both in and out of the classroom. Teachers are role models who are often held to a higher ethical and legal standard than many. This class will help prepare you for that challenge. Language, slang, mannerisms, and colloquialisms are often culturally specific. This class will help differentiate what is proper and what is culture and how this can differ in the classroom. As a teacher in the 21st century, it is important to be familiar with the numerous forms of technology available in and outside the classroom. This technology can be a help to the aspiring teacher. This class will help you reign in the options for technology use in the classroom. Getting a degree at any level online can be a valid option for those who cannot fit a traditional classroom schedule into their busy lives. This option often offers the same level of education at a more convenient pace and schedule. Despite all the benefits of earning a degree online, it may not be the best route for everyone. In a lot of cases, those who easily find success in an online learning environment are self-starters. Such learners are able to motivate themselves to remain organized, plan studies, and stay on top of their work. This type of student does not rely much on others to motivate them. Reflect on yourself and determine if you think you would be able to describe yourself as a self-starter. If so, you will be likely to find success in an online learning environment. We are at a day and age where online degree programs have become a common and reputable way to earn a degree. As more and more students choose online schooling, it seems one of the biggest appeals is the flexible time schedule. Degree candidates are often discouraged from going on to earning a master's degree because they do not think they will be able to fit the class schedule into their daily lives. Fortunately, online degree programs have opened up many doors for these people. Since physical attendance is most commonly not required, students have the ability to choose when and where to complete assignments and watch lecture videos. Program Overview: This program is designed to help secondary classroom teachers upgrade their skills, techniques, and knowledge to prepare to become curriculum leaders in the field. Required Courses: There will be, at a minimum, 31 units for each Master's level student. All units will be advisor approved prior to scheduling. The majority of units will be in the core course work area. Admission Requirements: You must first enroll at Cal State Fullerton to be considered for the Master's program. You must then show a Bachelor's degree from an accredited program with a good standing at all previous colleges/universities. A minimum of a 3.0 GPA and a complete or ‘in progress' basic teaching credential is required. Tuition: Tuition for Master's level students will range between $2,000 - $4,000, based on the program and residency requirements, per semester. How Do I Know If a Doctorate in Secondary Education Is Right for Me? A doctoral degree in Secondary Education is for individuals who wish to further their knowledge and stamp their expertise in the field. Programs are usually research intensive and challenging. This type of program will require prior completion of a Master's Degree in a related field with a GPA of 3.0 or higher. Some schools will accept students with a Bachelor's Degree if the program offers a joint Master's Degree and Doctorate. However, most programs will require teaching experience, teacher certification, and a Master's Degree. If a previous Master's Degree has been earned, then a Doctorate Degree in Secondary Education can take on average 6 to 9 semesters to complete. If no Master's Degree has been earned, then an additional 2 to 4 semesters will be required. A Doctoral Degree in Secondary Education can be costly, but financial aid through FAFSA, grants, loans, and internships are often available. In addition, certain subject areas that are high need (foreign language, math, science, advanced classes) are often repaid by schools once the teacher agrees to a set number of years at that school. An accredited program is the only type of program that will lead to a higher level teaching degree, which means an accredited program is of high importance in this field. Earning a Doctorate of Secondary Education can open doors to higher level positions within the education realm. This may include a job as an administrator, academic coach, specialist, or coordinator. With a higher job title also comes a greater potential for earning over time and with experience. What Type of Courses Will I Need to Take for a Doctorate in Secondary Education? The overall goal of a Doctorate program in Secondary Education to prepare top educators to create, assess, and teach students and teachers the best practices as needed in various locations. Those holding a Doctorate may also teach future teachers in their area of expertise. Doctoral research is an integral part of the educational process at this level. This class will help prepare you for the hours of research ahead in relation to your dissertation. As a Doctorate level teacher, you are likely to hold a higher position within the school system. This means that you may have the responsibility of evaluating an educational process in a single classroom or an entire school system. Holding a Ph.D or Ed.D can move you toward leadership roles within a school system. Be prepared to take on that leadership role with pride and grace through proven leadership techniques, as taught in this type of class. Choosing to get a Doctorate Degree online typically means a hybrid program that is a combination of online courses and brief face to face seminars during the dissertation process. However, an online education is a true time saver for those working and/or raising a family in addition to attending school. Doctorates of Secondary Education typically come in one of two forms, Ph.D or Ed.D. Ed.D. students typically plan to stay in the school system or at a local board of education long term. Online degree programs generally offer tons of flexibility. This means that students have the opportunity to complete course requirements whenever and wherever. In most cases, doctoral candidates have their plates full. Most have full time jobs to maintain and families to keep up with. Since online schooling does not require students to re-organize their lives, they are able to set their own schedule. Instead of commuting to campus to attend class, instructors post lecture videos. Students are able to watch the videos at their convenience. When and where degree candidates choose to study is completely up to them. With the growth and availability of online degree programs, students have a lot of programs to choose from. In many cases, people would not even consider earning a higher degree, since they don't have the option to relocate and they don't have easy access to a campus. These apprehensions are cancelled out with online schooling. Online schooling allows for degree candidates to join programs regardless of their geographic location, scheduling restrictions, or physical ability. Basically, two main things are needed- a reliable computer and good internet service. Take some time to think about yourself. Are you able to motivate yourself to complete tasks? Are you able to plan for success without much external motivation? If so, you may be a self-starter. With that said, online schooling might be a great way for you to earn your degree in secondary education. Since frequent face-to-face lectures and classes are not required, some students may have trouble staying motivated. For those, interaction may be necessary for student success. On the other hand, if you are able to motivate yourself, you might find a lot of success through online education. Program Overview: This Ed.D program is designed for candidates that hold a Master's Degree and wish to develop the skills, knowledge, and disposition to serve as learner-centered specialists. Required Courses: A minimum of 30 - 33 credit hours are required for graduation, but only with previous approval. Admission Requirements: A Master's Degree from an accredited institution in Education or a related field is a requirement. A clear and renewable teaching certificate, at least three years professional experience, and a competitive GRE score are also needed. This is in addition to letters of reference and a complete application that can be found online. Tuition: Tuition is different for residents and non-residents and may vary from approximately $2,000 to $4,000 per semester with a full course load of 12 credits. A secondary math teacher may be responsible for teaching basic math classes or specialized classes such as algebra, calculus, geometry, or trigonometry. Typically a math teacher will teach a mixture of these classes over time. Math is a high need area in schools and grants are often available to help with certification costs. Math teachers will be required to show understanding of both teaching methods and math concepts. A secondary science teacher may be responsible for grade level basic science courses or specialized classes such as biology, chemistry, advanced placement classes, or other science related areas. This is a high need area which may offer grants to help cover loan repayment. Science teachers can study a general science with a minor or major in specific areas. A secondary English teacher will be required to teach reading and writing skills to students at varying levels. Some teachers may be required to teach advanced placement English classes to prepare students for placement exams. English teachers will need to be highly proficient in writing, well versed in reading techniques, and qualified in teaching techniques. A secondary social studies teacher will take numerous classes in history, world studies, and civics in order to be able to teach at various secondary levels. This is in addition to technology, technique, and curriculum classes that are required of most educators. Social studies teachers may teach world history, civics, and some advanced classes for students. A secondary physical education teacher will be in charge of teaching gym classes. A degree in this area will require physical education classes, growth and development courses, and safety education courses. These teachers will be required to teach sports and sportsmanship to students in middle and/or high school. Those who study Secondary Education often go on to becoming high school or middle school teachers. These teachers often teach a single subject or specialize in a grouping of subjects. Secondary Education programs combine the elements of theory and practice within the curriculum. These programs provide the foundation and experience needed to work with students from urban to rural communities and across ability levels. Earning a degree in Secondary Education may require some financial forethought. There are many grants and scholarships available for students who want to become secondary education teachers, the following are just a few of them. To apply to the CURE Scholarship, you must major in an area of Education and must maintain high academic achievement. In addition, applicants must demonstrate a commitment to teach in high-needs schools in urban areas. Although all candidates can apply, first priority is given to applicants from groups that have been traditionally underrepresented or undeserved in the field. If you are studying to become a High School Physics teacher, this $2,000 scholarship may be right for you. The American Association of Physics Teachers offers the Barbara Lotze Scholarships for Future Teachers. Applicant must be an undergraduate student enrolled in an accredited college or university (or high school senior accepted for such enrollment) pursuing a degree leading to becoming a high school Physics teacher. To learn about other Scholarships and Grants available to you, click on the link. Earning a degree in Secondary Education can open up many career opportunities. Secondary Education degrees are usually paired with a subject(s)-specific credential. Depending on your area of focus, the following may be possible careers with a degree in Secondary Education. Advanced placement teachers typically teach one or two advanced classes in a specific subject area (History, Biology, English). These teachers also tend to teach basic level classes in addition to the advanced class(es). A Bachelor's Degree can be earned for advanced placement teaching, but a Master's or experience is preferred. The average salary for a teacher is between $40,000- $55,000 each year. A middle school teacher will teach grades 6 through 8, typically only one subject area across grade levels. This type of teacher starts teaching students higher level thinking skills that will be necessary for future classes. The average salary for a Bachelor's Degree level teacher is between $40,000-$55,000 yearly. Learn more about becoming a Middle School Teacher. A high school teacher is typically responsible for a single subject area, but may teach to several grade levels. The high school teacher usually minors in a general subject area such as reading, math, science, social studies, or an elective during a Bachelor's Degree program. However, degrees can be gained at the Master's and Doctoral level as well. Job growth for secondary education is rising at an average to above average rate. If you are interested in becoming a High School Teacher, click on the link to learn more. An academic coach will need a minimum of three to five years experience as well as a Master's or Doctoral Degree. An academic coach teaches fellow educators to implement new strategies and plans to ensure standards and goals are being met within a school and region. Academic coaches may cover all areas or could be subject specific for a school or county. An academic coach salary will range between $40,000 and $75,000 yearly depending on the area. Job growth is steady, but slightly below average.